Amongst my many idiosyncrasies is the fact that while I derive considerable satisfaction from hard work for the sake of recreation, hard work for the sake of handsome financial remuneration makes me sullen and ill-tempered. I was working way too much to have time for things like shaving my awful facial hair. Also, it's a mystery to me why no helmet will ever sit squarely on my head. Thankfully, I’m oddly unconcerned with accumulating wealth and possessions (with the exception of climbing gear and books) so my misery is generally short-lived. And while I occasionally curse my parents’ career choices and thereby my lack of a trust fund, I have many great memories and a touch of blue-collar pride from doing jobs such as bushwork in remote coastal inlets and seismic exploration in the Middle-Eastern desert. 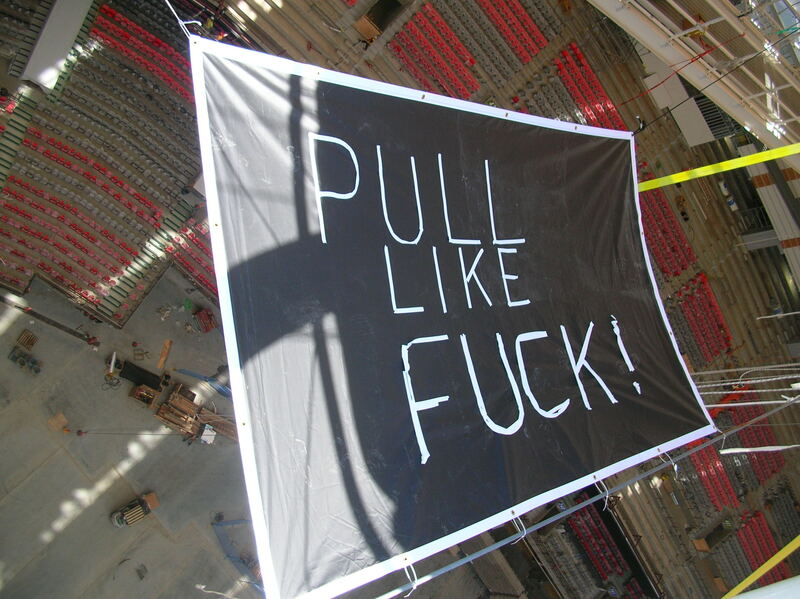 Pulling out the final bundle of fabric on the roof. The bundles were landed by crane onto truck-strap runways and then pulled lengthwise before being stretched widthwise over the arches. 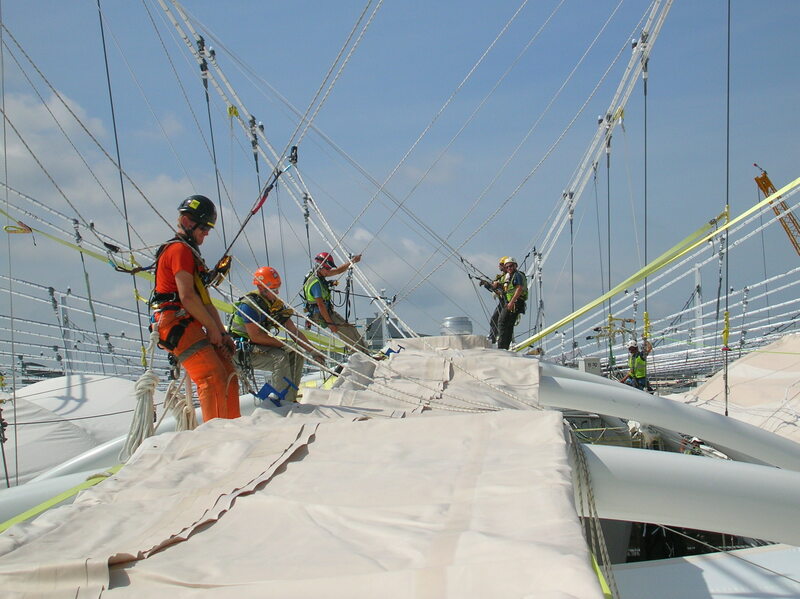 Eventually, after considerable tensioning, the fabric gets clamped to the radial cables that run from the masts into the node at the centre of the roof. Finally, everything gets closed up and the panels get welded together. 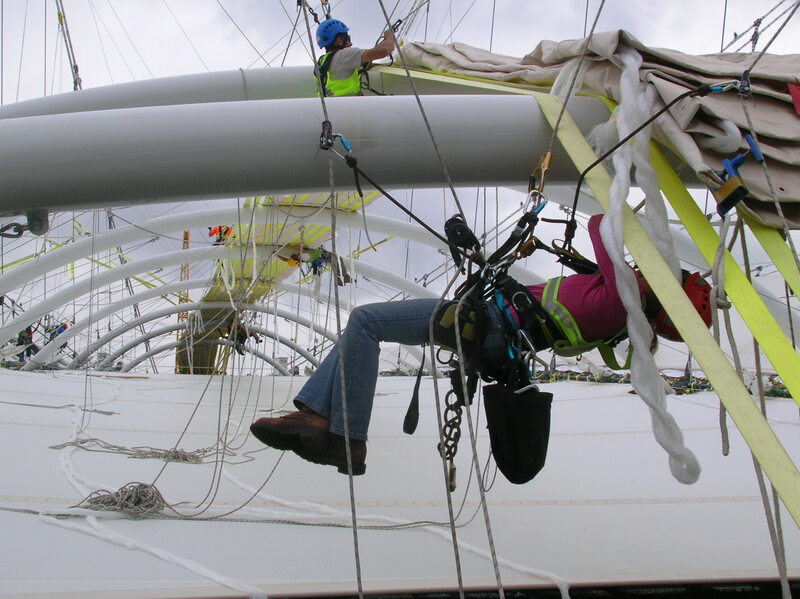 My most recent attempt at avoiding utter destitution involved entering the world of construction as a rope access technician. 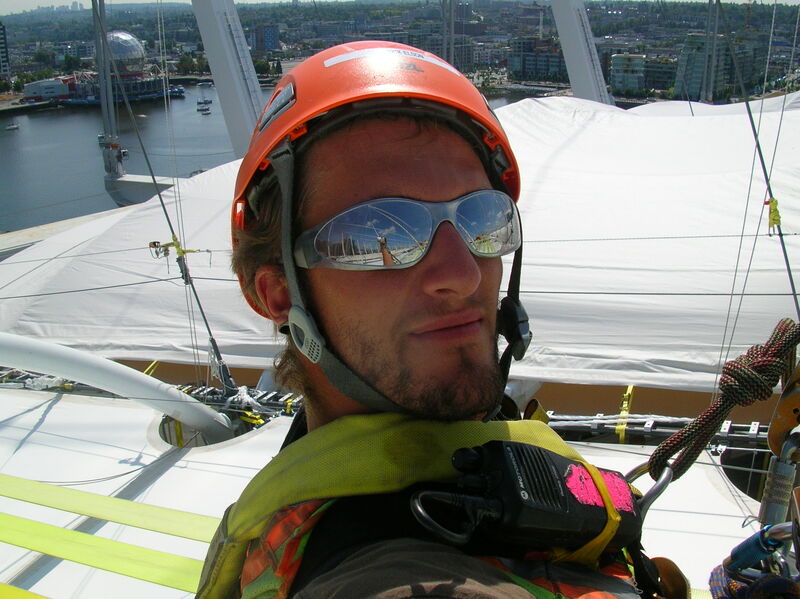 For the past few months I worked twelve hours a day, six days a week on the roof of BC Place Stadium. The long hours combined with the commute from Squamish meant that I barely had time to buy groceries, let alone write on my blog. However, now that it’s over, here are a few photos for those who’ve feigned interest. Lunchtime on the roof. On hot days, shade is a precious commodity. 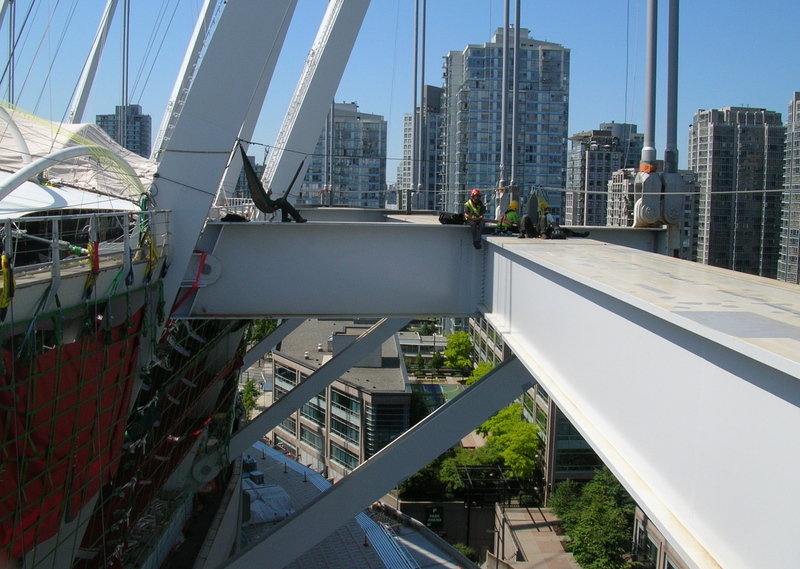 Rope access is pretty darned safe. Here, Alisha is in a rope-to-rope transfer so she's attached to four separate ropes. The only real challenge is not getting too tangled. The motto and the reason my hands and wrists are messed up.